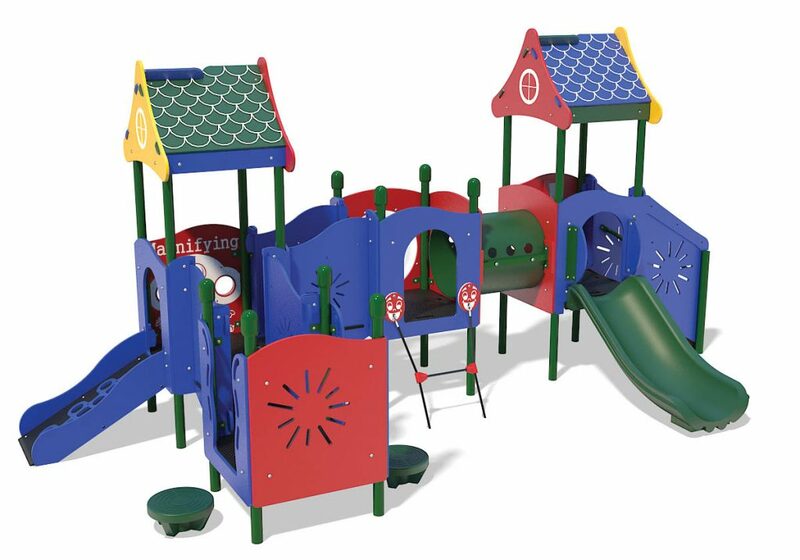 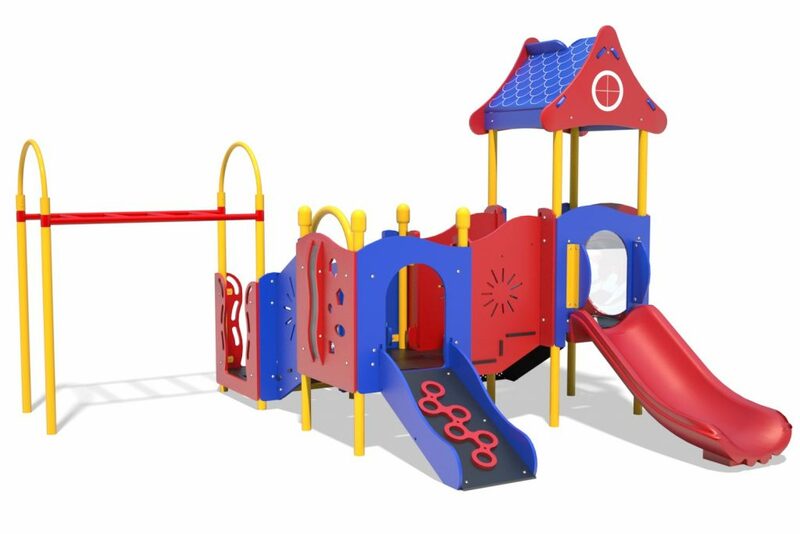 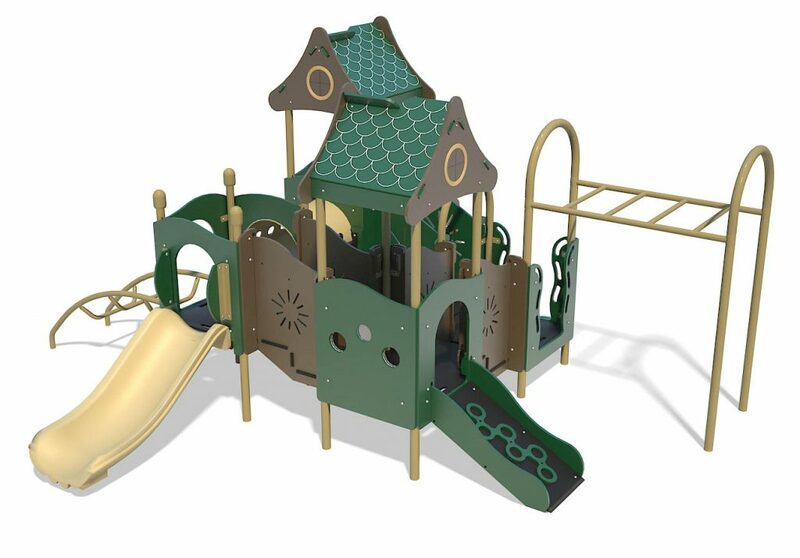 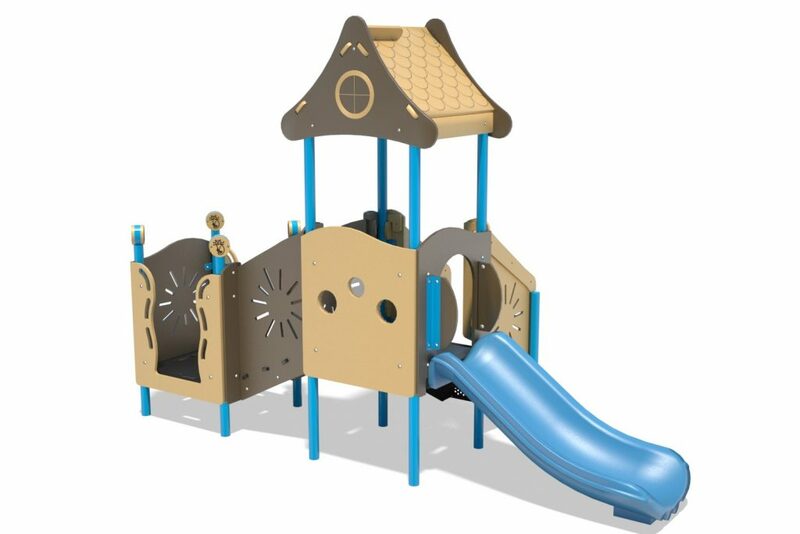 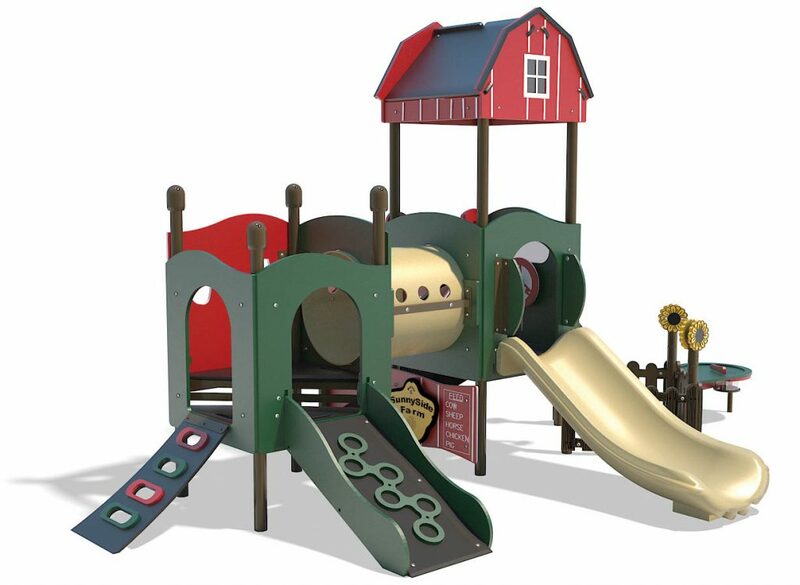 PlayTots is a great mix of durability and value, and is perfect for today’s smaller facilities. 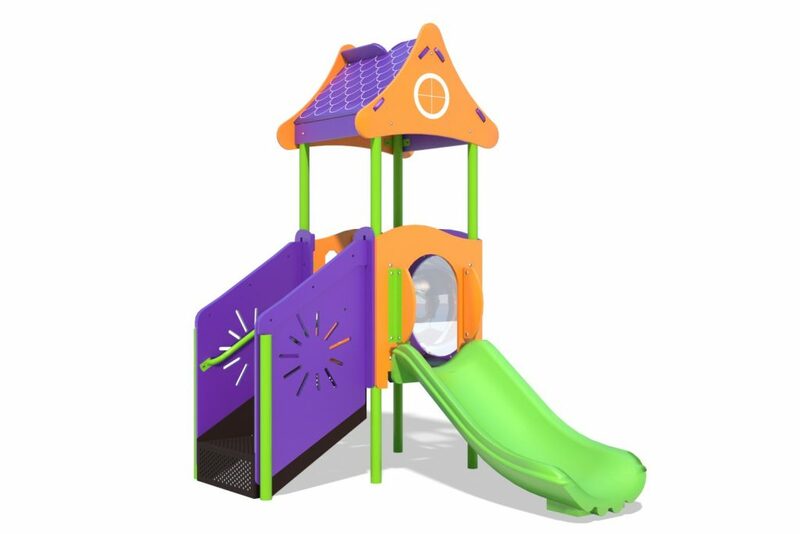 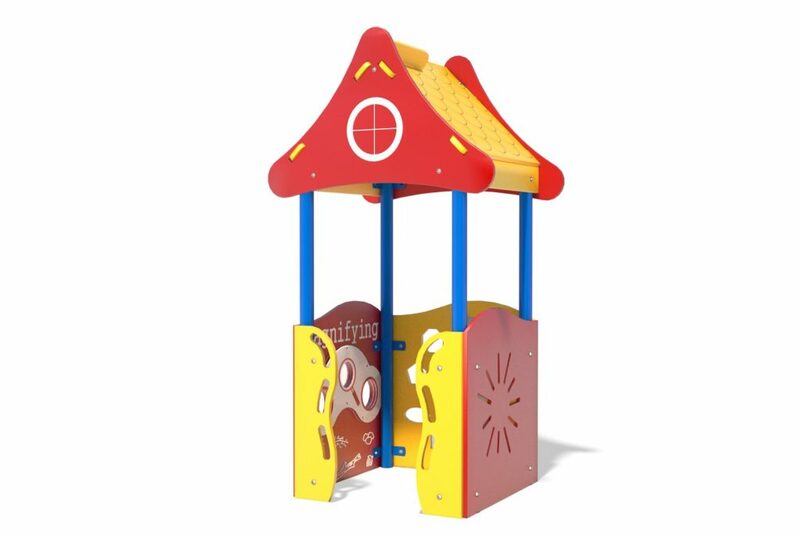 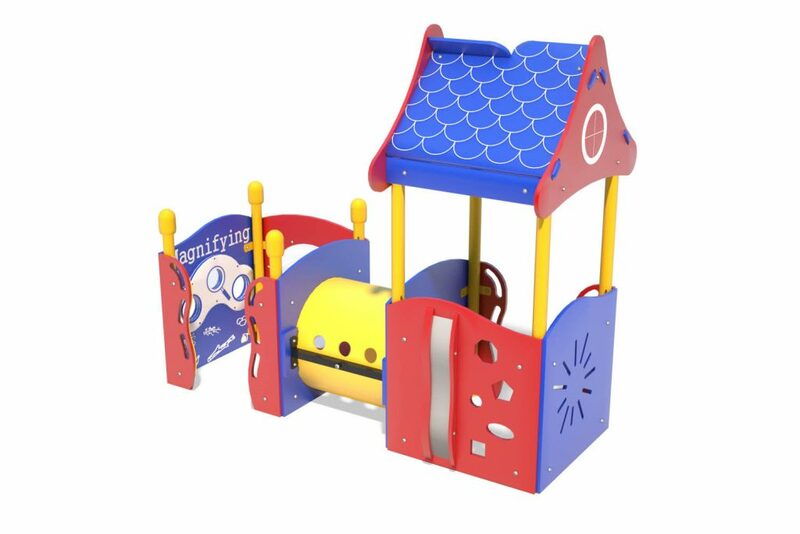 Its components are developmentally appropriate, and are sized just right for the smaller height, reach, and step of preschoolers. 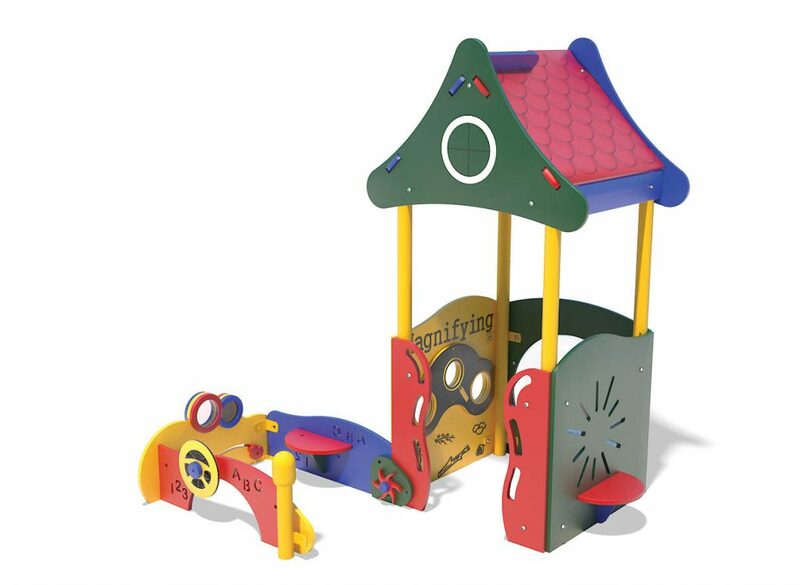 Playtots attractive designs are inviting to children as well as caregivers, and encourage learning. 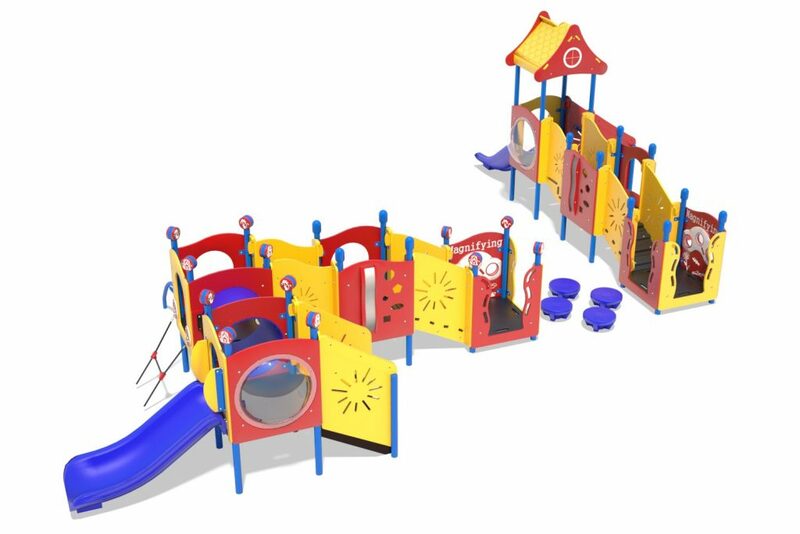 PlayTots has been scaled to Tot size proportions make it even better for the little ones to play and have fun. 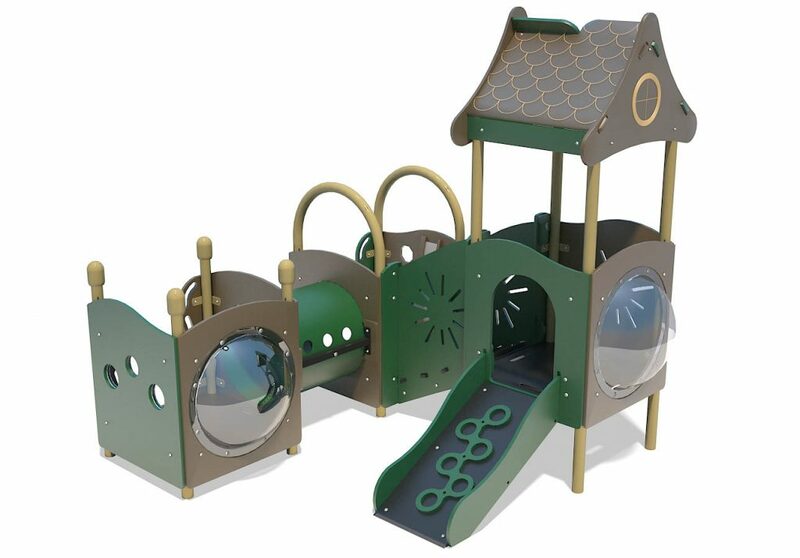 Non-skid ramp-like climbers help children climb or crawl onto the decks. 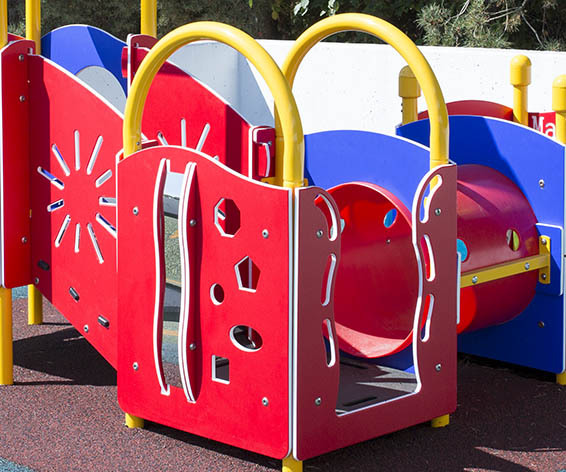 These curvy entrance panels are more eye catching than our previous straight linear panels. 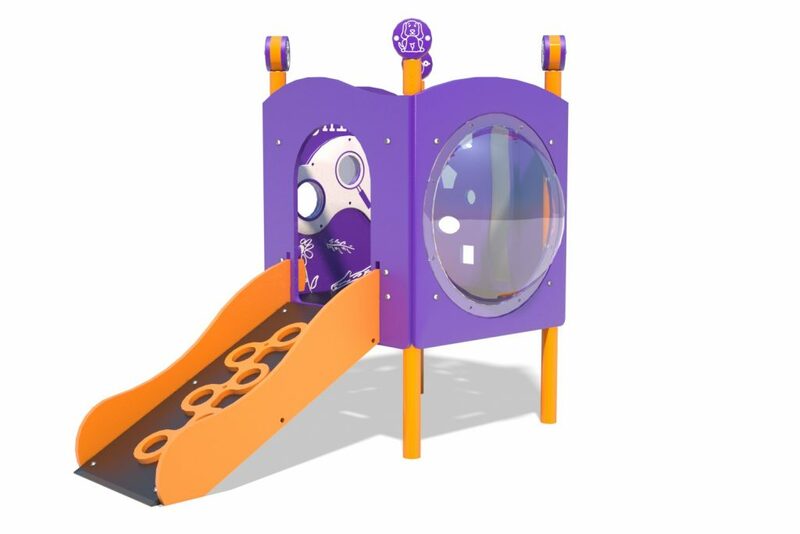 We even added more hand grip locations to accommodate children with different reaches and heights. 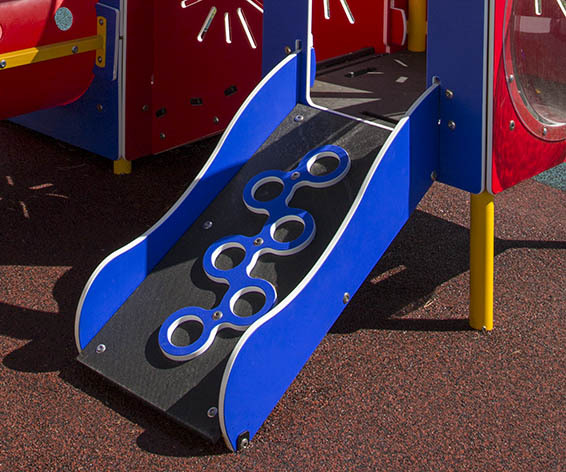 Decks are textured for added grip giving children a better footing. 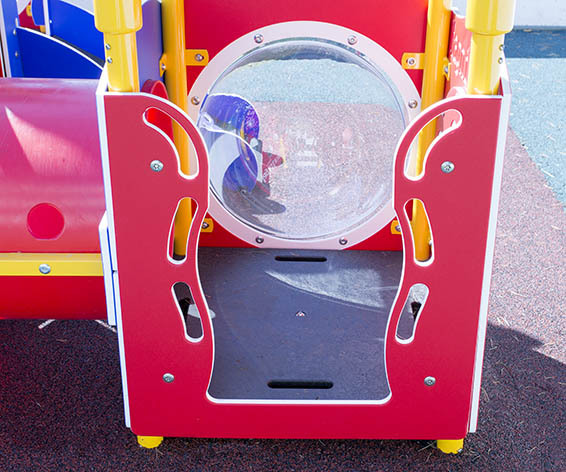 Depending on model, panels can feature mirrors, peek-a-boo spots, and magnifying glasses to help children learn about things they discover around the playground like bugs and rocks.